China has developed and successfully tested a highly accurate laser defense system against light drones. The homemade machine boasts a two-kilometer range and can down "various small aircraft" within five seconds of locating its target. Boasting high speed, great precision and low noise, the system is aimed at destroying unmanned, small-scale drones flying under an altitude of 500 meters and at speeds below 50 meters per second, the official Xinhua news agency reported, citing a statement by one of the developers, the China Academy of Engineering Physics (CAEP). A recent test saw the machine successfully bring down over 30 drones - a 100-percent success rate, according to the statement. The laser system is expected to play a key role in ensuring security during major events in urban areas. "Intercepting such drones is usually the work of snipers and helicopters, but their success rate is not as high and mistakes with accuracy can result in unwanted damage," explained Yi Jinsong, a manager with China Jiuyuan Hi-Tech Equipment Corp.
Yi told Xinhua that small-scale, unmanned drones are relatively cheap and easy to use, which makes them a lucrative choice for terrorists. Concerns have also been raised recently over drones involved in unlicensed mapping activities, and the negative effect this could have on both military and civil aerial activities. The academy is currently working on developing similar laser security systems with greater power and range, the Chinese news agency reported. The drone industry has been booming in recent years, with the challenge to build small, hard-to-track drones that are difficult shoot down. The US military is to get a new drone, small enough to fit into a uniform pocket, weighing a mere 80 grams. The so-called Extreme Access Pocket Flyer can fly for two hours, transmitting HD-quality video the whole time, without resorting to Wi-Fi. 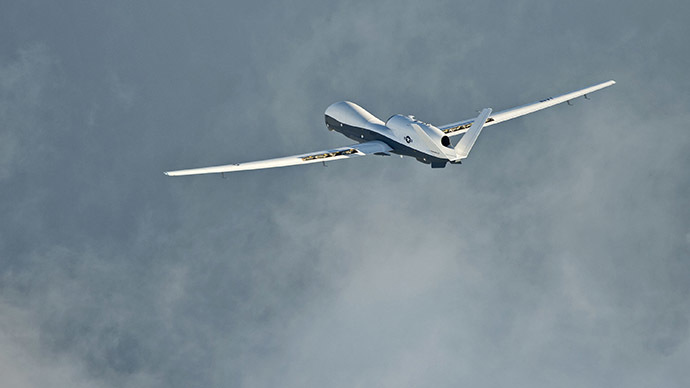 According to a report by the independent, nonprofit, public policy institute, Stimson, the US has the "world’s largest and most sophisticated fleet of weaponized UAVs," though America is "not likely to remain the world leader in the development of innovative UAV technologies." 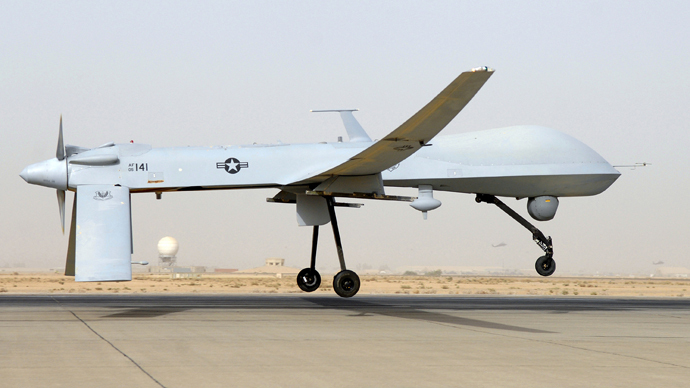 US military forces had at least 678 drones in service in 2012, according to a study by the International Institute for Strategic Studies, as reported by the Guardian.